Propolis is a natural product that has many health benefits. This study was the first investigation examining the effect of propolis administration on pregnancy. Pregnant mice were used as experimental animals (n = 25) divided in five groups. They were control group (Tween 80 1%), low (380 mg/ kg b.w) and high (1400 mg/ kg b.w) dose of ethanol extract of propolis (EEP), low (380 mg/ kg b.w) and high (1400 mg/kg b.w) dose of water extract of propolis (WEP). Propolis was administered from 0 to 18 days of gestational age. The results showed that high dose of EEP significantly reduced weight and crown-rump of fetuses and increased the amount of resorption (p<0.05). However, low dose of EEP, low and high dose of WEP did not affect weight and crown-rump length of fetuses compare to control group. Low dose of EEP, low and high dose of WEP significantly reduced number of resorption compare to high dose of EEP. There was no difference in liver and kidney weight, serum ureum, creatinine, alanine aminotransferase (ALT), aspartate aminotransferase (AST) and maternal weight gain. No significant difference also was found in placental weight, litter size, number of dead fetuses, embryo mortality before and after implantation. The results of this study indicate that WEP might be safer to use during pregnancy than EEP. 1. Fikri AM, Sulaeman A, Marliyati SA, Fahrudin M. Antiemetic Activity of Trigona spp. Propolis from Three Provinces of Indonesia with Two Methods of Extraction. Pharmacog J. 2018;10(1):120-2. ISNAD FIKRI, Al Mukhlas , SULAEMAN, Ahmad , MARLIYATI, Sri Anna , FAHRUDIN, Mokhamad . "Water Extract of Propolis Might be Safer to Use During Pregnancy than Ethanol Extract". 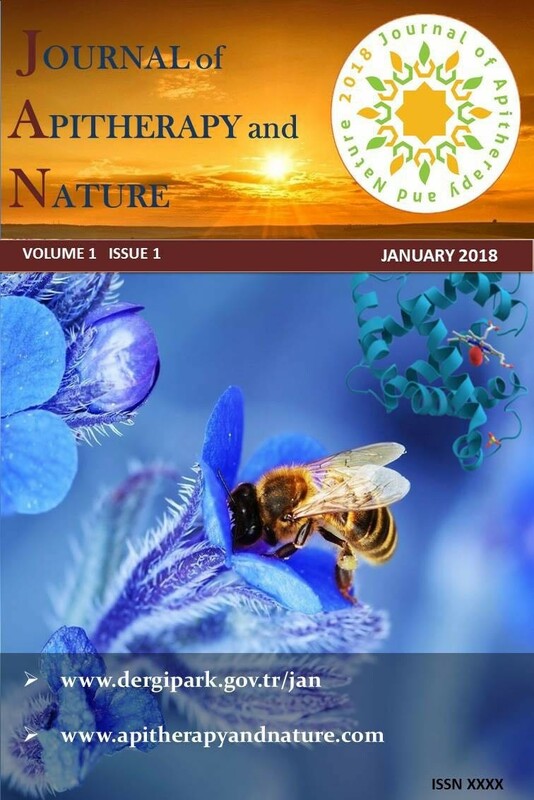 Journal of Apitherapy and Nature 1 / 3 (December 2018): 43-43.